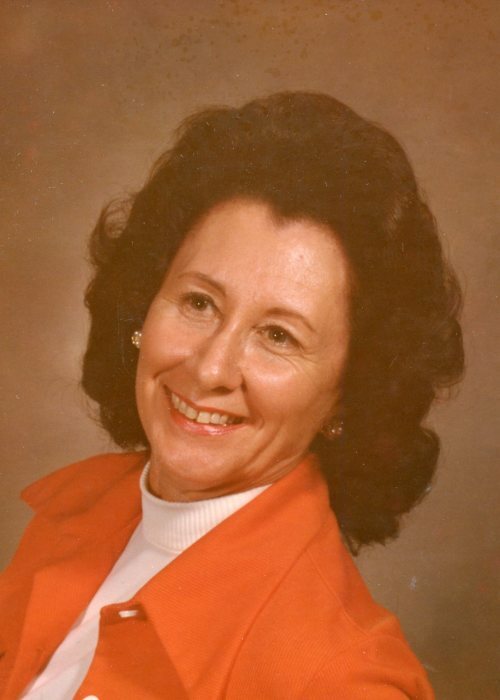 Ann Stever Hall, age 94, of Debary, died Wednesday, April 3, 2019 at Atria Assisted Living, Orange City. Born in Hastings, Florida to Lunnette Register and Charles Martin Stever, Sr., Ann was a lifelong resident. Losing her first husband, Pete Treadwell, at a very young age, (also to a terrible disease), Ann was left all alone in Oak Hill as a now single mother with her young daughter, Lynda, until she met and married second husband, Mendell McPherson in 1953. Living a hard life in Miami as the wife of a long distance truck driver, Ann never thought twice about assuming the roles often taken by men. She could change a flat and rotate all her tires on her vehicle herself. She could do just about anything a man could do. Ann devoted herself to her two young daughters, always putting their needs first. And when her husband returned from a very long and tiring long distance haul, she would be in the kitchen all day and have the biggest pot of Beef Stew or Chicken and Dumplings, (or whatever he fancied), hot and waiting for his return. The wife of a truck driver was hard back then and she had to be strong and able to do anything, and Ann was. Her husband could be gone one to two weeks at a time and return sometimes just for a few hours or a day and gone again. Survivors include her 2 daughters, Lynda Dagger, of Miami and Debra (David) Russell of Debary; 6 grandchildren, Derek, Ashleigh, David, Jr., Suzette, Gavin and Darryl; and 6 great grandchildren. Also, survived by numerous nieces and nephews. Ann was preceded in death by her parents; 3 husbands, Pete Treadwell, Mendell R. McPherson and Irvin P. Hall; 2 brothers, Charlie and Vernon and sister, Ruth. Funeral service will be 12 Noon Saturday, April 13th at Settle-Wilder Chapel with Pastor John Marsh, Bella Baptist Church officiating. Burial will follow at Oak Hill Cemetery. Friends will be received on Saturday, April 13th from 11:00 a.m. until the time of the service. Donations may be made in memory of Ann to the American Cancer Society SE Florida, 1737 N. Clyde Morris Blvd., Suite 140, Daytona Beach, FL 32117 or Kindred Hospice, 4776 New Broad St. Floor 2, Ste 200, Orlando, FL 32814.